As a recommended CAMRA Pub and featuring in the 2017 Good Beer Guide we pride ourselves on good inn-keeping standards. 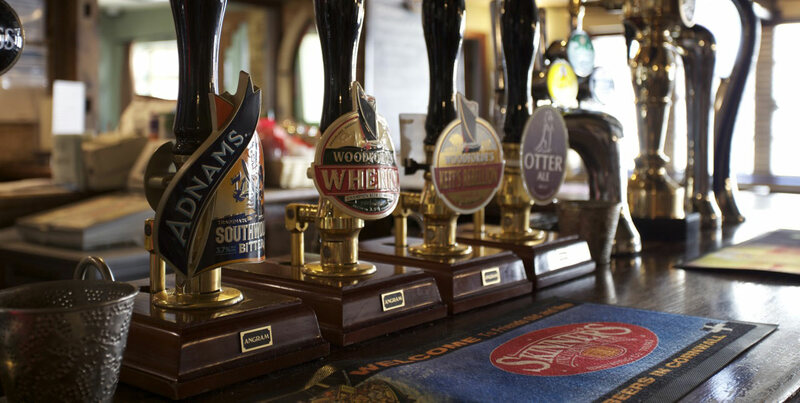 We offer a range of cask ales – both regular and guests. We also have a range of lagers, cider and stout. To compliment this we keep a wide selection of bottled beers, ciders and other drinks. Light in colour, refreshing, and crisp and with aromas of limes, grapefruits and lemons making this well balanced wine very easy to drink. An aromatic wine with hints of tropical and citrus fruit on the nose and tastes of pineapple and pears on the palate backed up with a firm acidity. An interesting and complex wine. Ripe fruit flavours with notes of date and banana results in a mouth filling finish and pleasant aftertaste. This is rich and mouthfilling with ripe banana, vanilla and apple flavours brought together by toasted undertones. A richly tropical nose, dominated by youthful aromas of lime, lemongrass and green herbs. Fruit on the palate leans more toward gooseberry and citrus, with a zesty acidity. This is a full-bodied dry white, with a gorgeously perfumed floral scent and a ripe, peach and apricot fruit, with a silky palate-feel. Deep, dense ruby in colour, with a nose of warm prunes, dates and figs, with hints of sweet spice. Full and voluptuous, the mouth-feel is soft and plush, with toasty notes that linger on the finish. An intense nose of plum and bramble. Fulsome on the palate, delivering a wave of ripe, fresh black fruit and mocha. A complex wine that displays a harmonious blend of dried, stewed fruits and nuances of leather, vanilla and tobacco. Delicate and aromatic with a light body and fine bubbles, this wine carries lots of fresh peach, pear, apricot and apple with a revitalising finish. Fresh and harmonious, displaying plenty of red apple and strawberry flavours. A nice balance of ripe red fruits. Apple and brioche lead the way in this medium bodied, fruity and classically biscuity style of Champagne. A Cask Marque award holder, featured in CAMRA's Good Beer Guide 2019 & the AA's Pub Guide 2019. Good food, a well stocked cellar & friendly service.